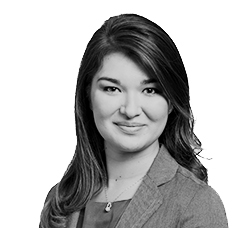 Christina is an associate in the Firm’s Estate Planning and Administration Group, where she focuses on the preparation of wills, trusts, and powers of attorney. Christina received her J.D. from The Catholic University of America, Columbus School of Law and her B.A. from the University of Mary Washington. Christina is admitted to the bars of Maryland, Virginia and the District of Columbia. Before joining Pasternak & Fidis, Christina was in private practice in Northern Virginia. As a military child, Christina grew up throughout the United States, but now calls Maryland her home. In her free time, Christina enjoys cooking, biking, and working on her home with her husband, Ed.